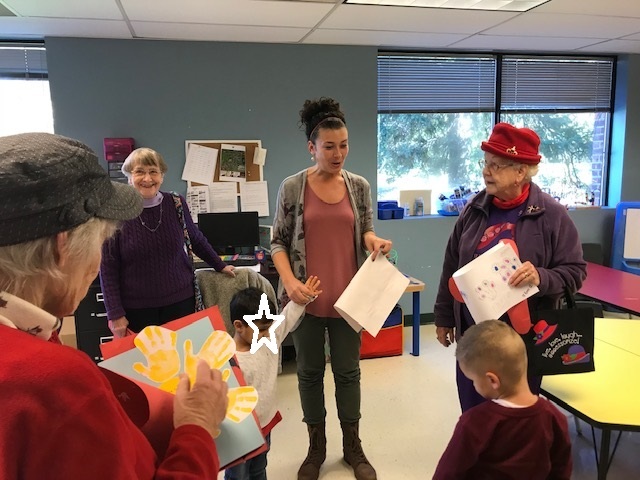 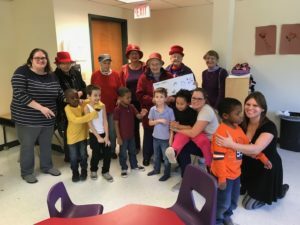 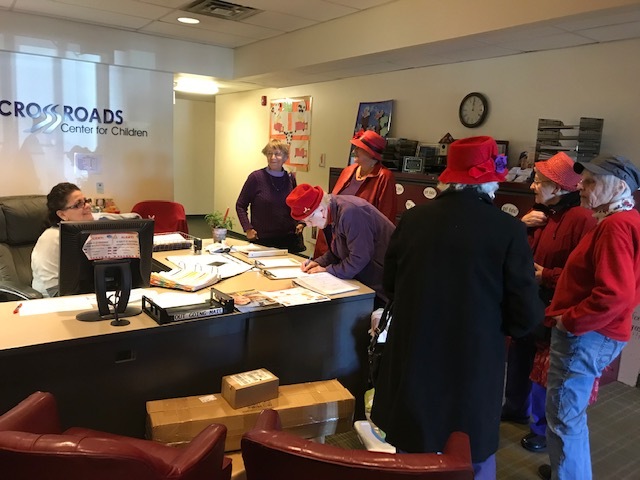 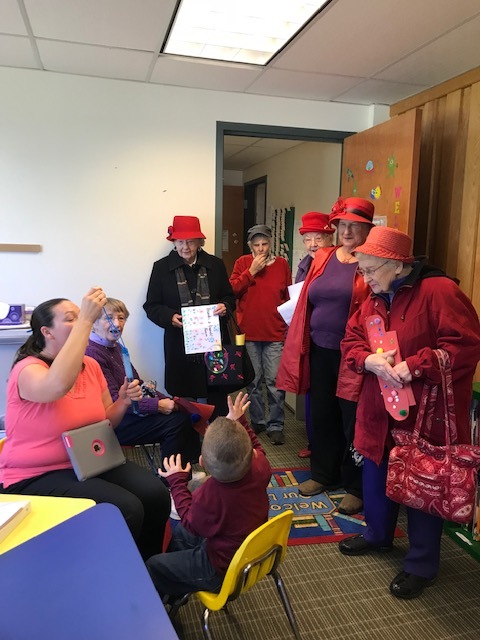 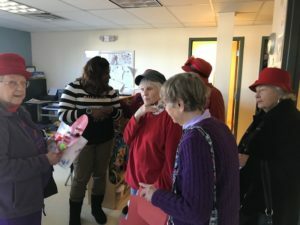 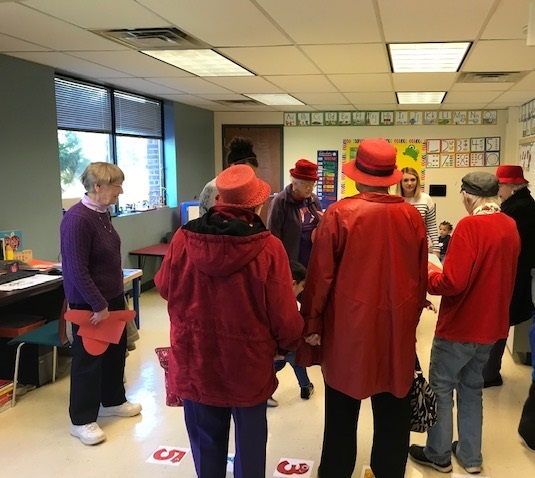 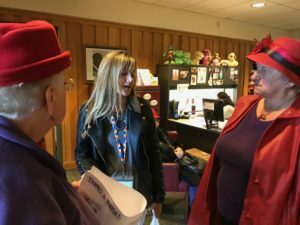 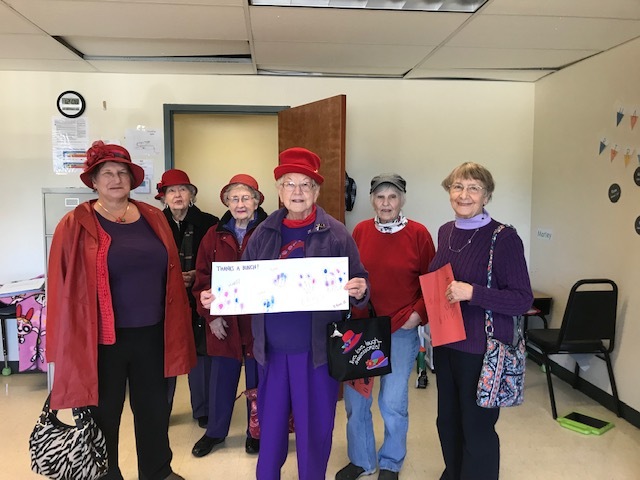 For several years now, the Scotia branch of the Red Hat Society has adopted the children of Crossroads Center for Children to donate back-to-school supplies to. 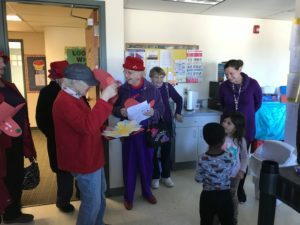 Each year they organize a collection for the school. Only once before in all this time were they able to come and visit us, though, so we were so happy that this year they took us up on our offer for a tour! Yesterday they came, and visited each room. They heard from each teacher a bit about the classroom. 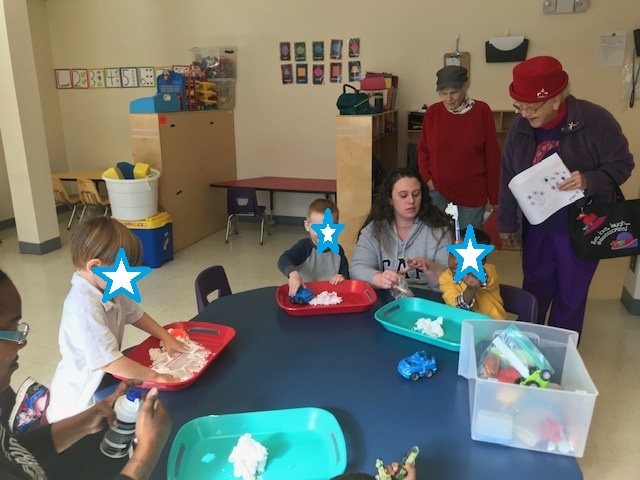 They also got to see and talk to two Speech Therapists and one B.C.B.A. 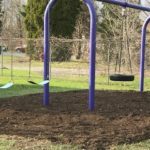 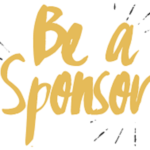 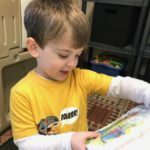 (Board Certified Behavior Analyst) in addition to seeing a bit of what they do with the children. 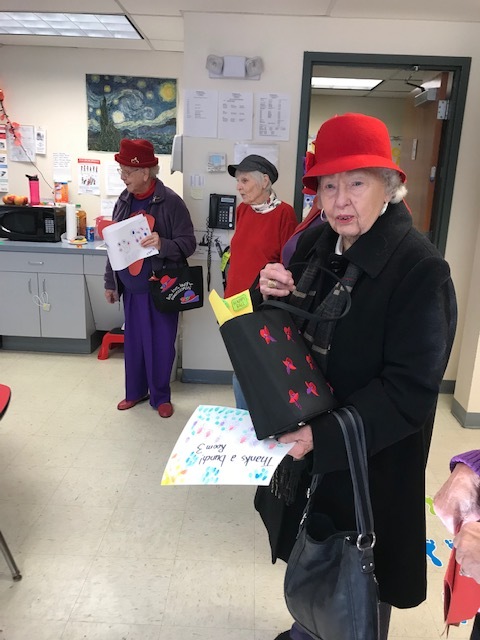 Each of the classrooms had made something to give the ladies, and the women enjoyed the precious handmade cards and pictures. 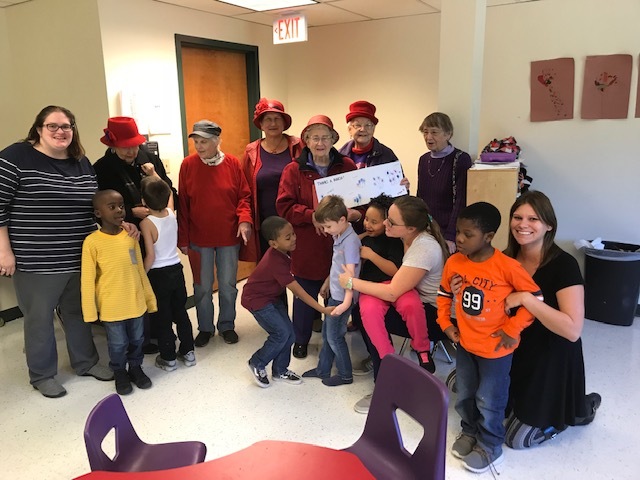 Here are some delightful pictures from this inter-generational afternoon. 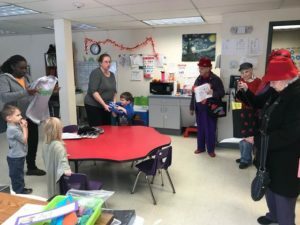 They even brought more school supplies! 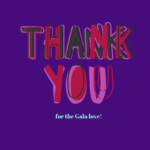 For which we are so grateful. Thank you Red Hat Ladies! 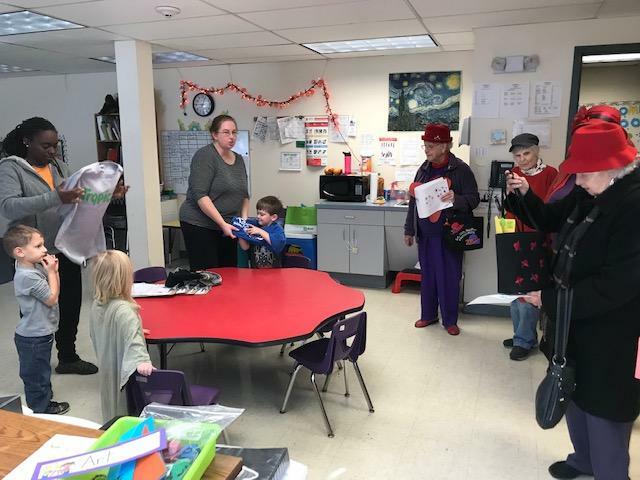 We’re so happy you came to see us!